Wilderness Excursion Pvt. Ltd is a government authorized well-known trekking and touring agency in Nepal, run by a team of professionals Nepal tourism experts that have many years of working experience in the tourism industry to look after your entire travel and trekking needs. We are sensitive and dedicated to client’s service and their satisfaction. Our chief priority is to make sure that your holiday is memorable. We would like to assure you that taking our services you will be able to enjoy your holiday at fullest. Though we are recently opened new company, it is operated by decades long experienced tourism professionals and has soon got its status by our commitment and hard work of the knowledgeable, friendly and well -trained guides. Our field staffs are sensitive and committed to the work with passion of guiding you on the most beautiful trails in the Himalayas, sure to enhance your holiday experience and make it a total success. As pioneers in exploring some of the world's most beautiful areas, we will take you to interesting and exciting places of culture and natural wonders, enabling you to experience high adventures set against the glorious backdrop of the Himalayan range - a setting where delightful happiness and tranquility prevail for one's eternal peace and happiness. We are committed to provide the best services which will give you a once in a life time journey experience and share with you interesting facts not only about the Himalayas, but also the Nepali culture, history and religion. Our large number of clients is forever expanding as these adventurers return home with exciting tales of exploration in and around the Himalayas. We are proud of our record of "Return Business" and of the many referrals we enjoy from our satisfied clients. You may read our clients feedback reviews. Let us plan your holiday with your special interests and requirements, whether those interests are in trekking, culture tour, mountain climbing, wild life safari, river rafting, bird watching, village walk or a tour of Tibet, Bhutan, India and Thailand. We heartily welcome all of you to join us for a memorable and wonderful adventure. 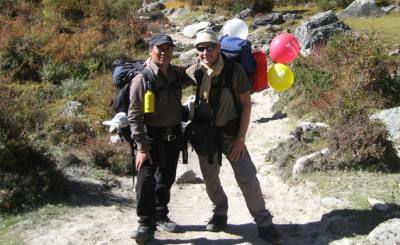 Adventure Treks in Himalaya Of Nepal. 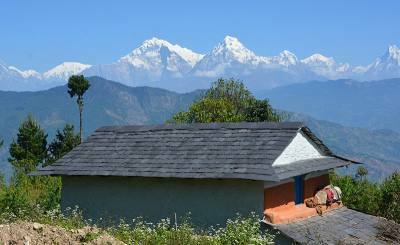 Nepal Village Walk and Short Treks. 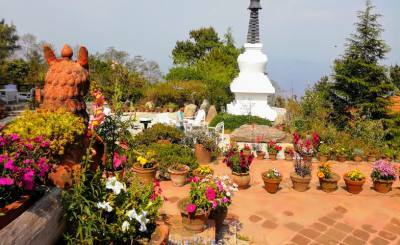 Sightseeing Tours in Kathmandu, Pokhara, Chitwan, Lumbini, Tansen, Palpa of Nepal. Jungle Safari in Nepal inside the National Parks. Adventure Activities in world’s most exciting places: White Water Rafting, Bungy Jump. Canyoning, Rock Climbing, Ultra-Light Flight, and Paragliding in Pokhara. Mountain Biking Tour from single to day several days in the rural villages and high Himalayas. Volunteer Tour and Community Service in Nepal. Research and Educational Tour in Nepal.